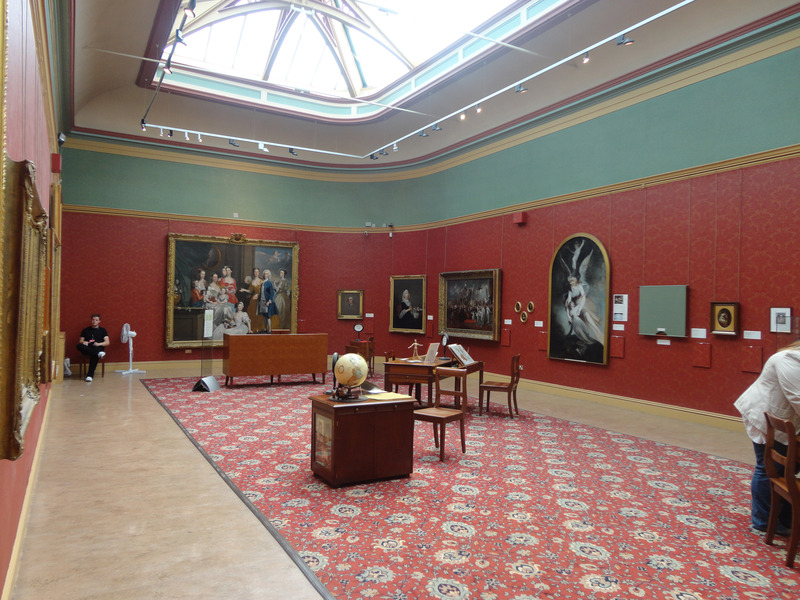 Anyone who has read my website knows how passionate I am about Wolverhampton Art Gallery (see examples here and here) so having an opportunity to interview the curators was a real treat for me. 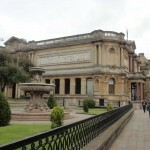 Wolverhampton has the second biggest pop collection outside of London but also embraces local and social history in addition to Georgian and Victorian art. It’s a delicate balance to combine all of these under one roof but they have never disappointed. Zoe Lippett, Exhibition Curator who has been with the Art Gallery for 7 years. Helen Oliver, Arts Collection Curator since March but has worked her way up starting as a volunteer. Margurite: Winning The Comtemporary Art Society’s Annual Award. We knew we were short listed but never expected to win. 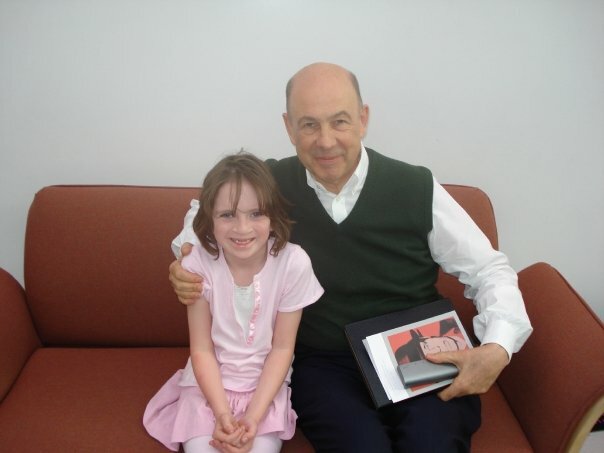 Zoe: Having the inaugural launch of the Artist’s Room with Anthony d’Offrey in 2009. Designing the poster wall which was very powerful as you walked into the room and made such an impact – I am very proud of that. 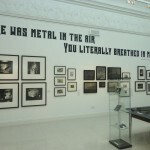 Margurite: Getting the art’s council National Portfolio funding. We weren’t sure where it was going to go after we put in the application. The waiting was the worst part. Helen: working my way up the ladder. I started as a casual worker. Zoe: When I put my first funding application together to bid for a piece of work. Learning the bid writing system was very complicated and was a huge sense of relief when it was successful. You recognize and acknowledge when funding received, it’s not always about the monies. 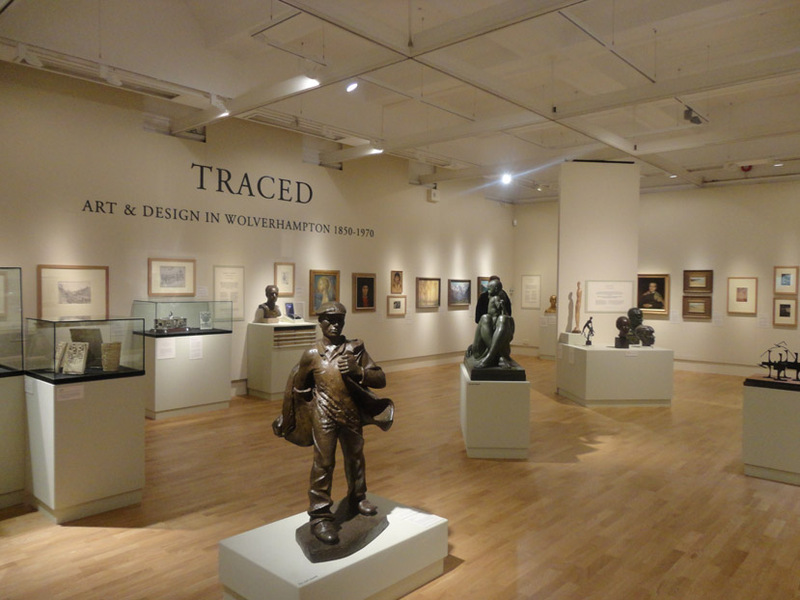 What item(s) do you feel represents Wolverhampton Art Gallery? Margurite: David Mach piece of work Likeness Guaranteed [a large sculpture of a man made out of coat hangers.] It’s iconic, LARGE, tactile, fun, conversion piece. Helen: Edwin Butler Bayliss work as it’s popular with local artists. The work is industry related with bleak scenes. Zoe: Jacqueline by Andy Warhol Anthony d’Offrey said it was the only portrait of Andy Warhol in public. It’s a key work in the pop art world and it’s unique as it’s not a print. What is your Holy Grail (regardless of Collection policy)? Margurite: David Hockney any original works to add to our Pop collection. Helen: Mona Hatoum because I really like her work. Currently into looking Palestine and Middle East works as expansion of our Northern Ireland collection. Zoe: Pauline Boty – she is an under represented artist who committed suicide at a young age so there isn’t much of her work available. How far advance are you planning our next exhibition? Two years on average although could be 5 years. We are flexible. We also work with other collaborations and partnerships so it varies. 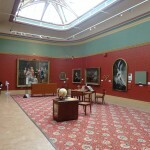 For example, our Georgian room we applied (and won) a Heritage Lottery bid in 2009. The bid incorporated how local community could be used. A post was created called Cross Cultural Ambassador which helped bring a panel together to have a selection of people to help with gallery. 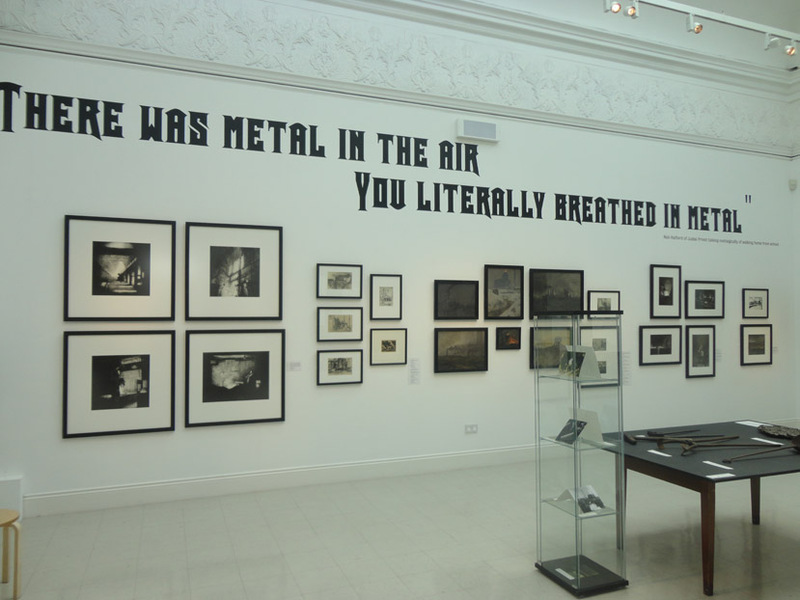 On the Trace Wolverhampton we worked with local people on the exhibition. 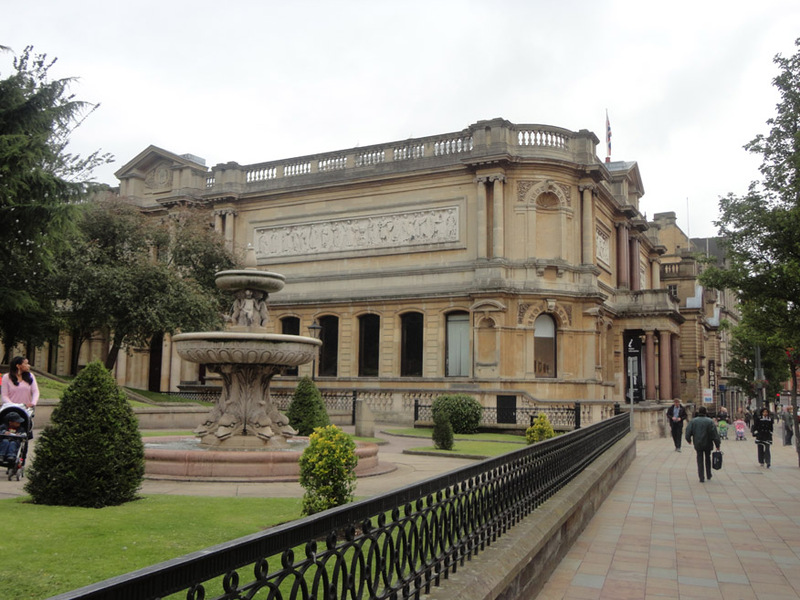 There are usually several activities associated with an exhibition, but Wolverhampton Art Gallery always has a healthy selection, how does that work? 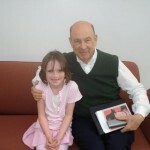 We also work closely with our volunteers as we value their opinion. They work as a focus group for us as they are diverse in age, ethnic backgrounds, etc. 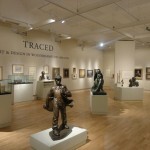 The Gallery is open Monday – Saturday, 10am – 5pm.